Online Forex trading for beginners is especially tough mostly due to the unrealistic expectations, common among all Forex newcomers. So, first of all, mark this: online trading does not make people rich overnight, over a week or over a month despite some sales pitch claims. The sooner an aspiring trader realizes this - the less money it will cost him. Here are some industry statistics in Forex for beginners: 90% of retail traders lose 90% of their investment in 90 days. Ouch! Right? And it is nobody's fault but their own. So, here are a few Forex trading tips for beginners that, if followed, will help avoid being out in 90 days. Knowing how the industry mapped out is absolutely important and is the first thing to understand for somebody who wants to learn Forex trading for beginners. The collective combination of all participants creates the market. The relative weight of the trading party to the market is measured by how much money is managed by that party: from billion dollar hedge funds and investment banks, to million dollar brokers, to a couple of thousands dollar private traders. At initial stages your main goal is preservation of your capital, not it's multiplication. In Forex trading for beginners minimizing risks is the primary objective. Using proper money management techniques and simply following the trend will make profit, it's only a matter of time. Believe it or not, math is useful in online Forex trading and there are simple ways to calculate what balance, what leverage and what trading volume you need per instrument to keep your risks in check. From there on you deduct "safety points" in favor of "income points" until you are pleased with how your risk to reward ratio is balanced. Not the other way around! If you think your capital is well-preserved as it is - do your home work. Among other tips on Forex trading for beginners is exercising caution when purchasing assisting software. 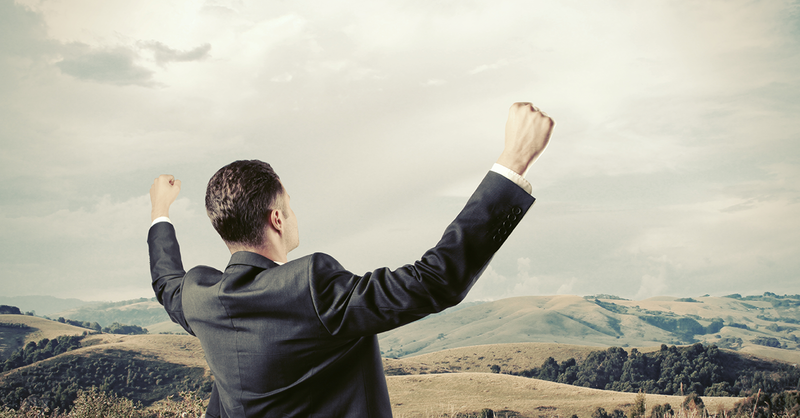 The level of competition among brokers makes most software free of charge. When trading, you are transparently charged a fraction of what you trade in the form of daily swaps and commission. These are the inevitable costs. Forex trading beginners are sometimes tempted to purchase FX robots aka Expert Advisers. If you think an algorithm can do a better job than you - do buy it, but this will not be easy money, especially if you are not the coder who wrote the code. Some EAs do work, but as markets change to stay profitable robots will require adjustments which you will not be able to make. For example, in a trending market a particular robot will do well, whilst in a ranging one it will declare jihad on your trading account wipe out your balance before you can say: Stop, hammertime! By the way, if you don't know what a swap is - you haven't done your homework! What a casual Forex trading beginner fails to realise is that most successful traders make money from long-term trends. They hold their orders open for weeks, months, and even years. This way Forex works more as a form of investment and less as type of a lottery, which, any Forex trading beginners guide will tell you, is a good thing. Long-term trading requires patience, tranquility and modesty in trading volume. As a payoff it requires fewer hours spent staring at the screen and thus less stress. It is easy to get blown away with online trading: real time charts, business channel news, etc. In truth - less is more. Information overload can be counter-productive. So, filter your intake and pace your trading. 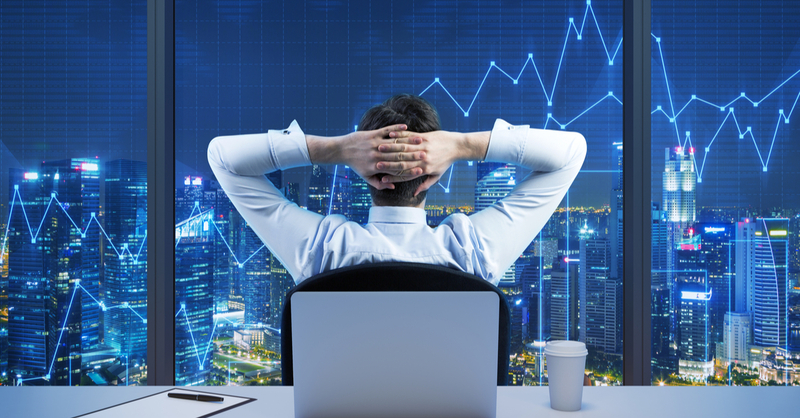 Availability of live-stream charts doesn't imply constant surveillance or non-stop trading. Analysis is trading! Charts are helpful for both short- and long-term trading. You should be interested in daily, weekly and monthly charts. 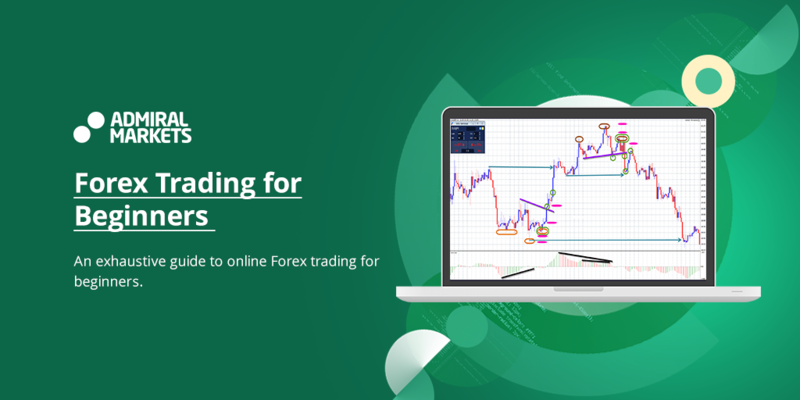 Any Forex trading guide for beginners of technical analysis will tell you that your main tools are trend-lines, support and resistance lines and indicators based on thee. The guessing game is an elimination game, which is why successful trading is 90% analysis and 10% decision making. More thinking and less clicking, ladies and gentlemen! Fundamental analysis, in a form of at least a minimal understanding of how things work on an international scale, will never hurt either. Want some homework? Read about interest rates. What is the best Forex trading system for beginners? The most simple one! Do not overload your charts with indicators and your strategy with handles and switches. The more complicated your trading strategy is, the less chance it will work and that you can follow it. Apply a 10-day simple moving average to any chart you like. Every time a candle closes above it is your BUY signal. Every time it close below - close your BUY and open a SELL. This is a reversive trading strategy, as you can tell, since one order closing, leads to an opposite direction order opening. Simple? Yes. Perfect? No. Profitable? Depending on the market. If the market is trending - yes, very profitable. If the market is ranging - no, not at all. How does it do on average, in different markets, on different time frame is up to you and historical backtesting to figure out. Keeping it simple could be a challenge, considering the multitude of supporting tools you can apply to your charts. Remember: it's not about the amount of tools at your disposal, it is about the knowledgeable use of their proper combinations. Actually, attributes such as minimum deposit and tight spreads are about the last points to consider, when opening a long-term trading account, despite being the most advertised. Pay attention to instruments portfolio, execution model and leverage offered. There is no such thing as the best Forex trading platform for beginners either. Practically speaking, if you learn using one, you will have learned using them all. What is important is the quote feed and that depends on the broker. Be cautious of Dealing Desk accounts unless you are specifically interested in conditions offered by them. Their features usually include: momentus execution, fixed spreads, and low minimum deposit. This simply means you are trading with the broker rather than through it, which, again, can be advantageous, when you are interested in scalping, for example. If you don't know what an ECN is - you haven't done your homework. Volatility is the wind that fills your trading sail, but make sure it doesn't tear the sale apart. When volatile, the market hectically moves sideways, which makes spreads grow and your orders "slip". Incorporate volatility analysis into your trading! Consider how big of a storm you can weather per day without watching your trading account shipwreck in 5 minutes. A thing that can save you a lot of money, being a beginner in Forex trading is once you are in the market anything can happen. Research, for example, the Swiss Franc surprise story that happened in January 2015. Nobody saw it coming, yet it did, putting many traders and brokers out of business. So, how to trade Forex as a beginner? Carefully! If you don't know what gaps and slippage are - you haven't done your homework. Updates you hear on CNN, Bloomberg and in your Trader's Calendar have already been discounted by the market. The only thing that news promises is volatility - spreads grow when news is out and before you know it - you are knee deep in re-quotes and slipping stop-losses. Unless you are a professional news trader - stay away from news trading altogether! If you don't know what a re-quote is - do your homework! Trade with what you see and not what you think. You might think that US dollar is overvalued and has been overvalued for too long. Naturally, you will want to short and you might be right eventually, but if the price is moving up, it does not matter what you think, it does not matter what anybody thinks - the price is moving up and you should be trading with the trend! When learning about Forex trading for beginners, many focus on major currency pairs because of their generous daily volatility and tight spreads. However, disregarding those as irrelevant in long-term trading, opportunities arise just as well on every other market besides FX majors: Exotic FX pairs, Stocks, Commodities, Energy Futures, and Indices. There are even indices that track groups of indices and you can trade them as well! How many markets you scan for opportunities is up to you, but do not limit yourself to one instrument or one market - this will make you overtrade. If you don't know what a CFD is... - well, you know what to do. 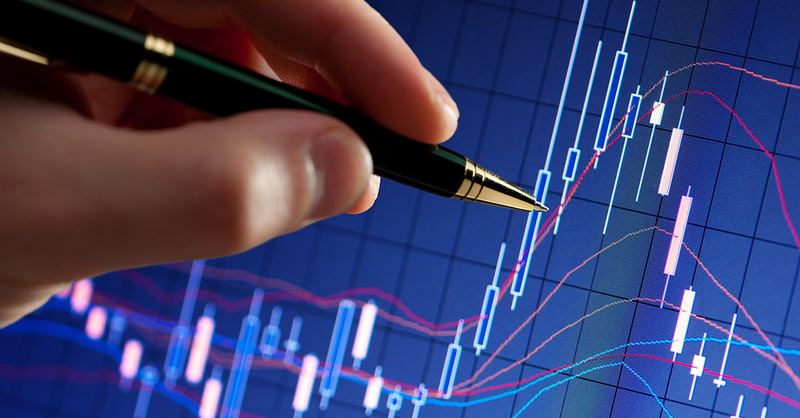 A regular Forex trading beginner concentrates on opening a trade, while an exit point is equally important. If your trading strategy does not consider the mechanism of closing a deal, you are flying a plane with no landing gear. I hope you brought a parachute. Make sure you are protected legally! Financial trading, including Forex, is usually a legally regulated activity. Government-assigned regulators of brokerage firms are particularly insistent on caution among Forex trading beginners in the UK, the USA, the EU, Australia, Japan and a few other major financial hubs. -Financial services compensation scheme - defines the amounts of funds that will be compensated to you in the extreme case your broker or its bank go bankrupt all of a sudden. - An efficient customer enquiry and complaints procedure - ensures that if an enquiry is filed by a Forex trader,and it cannot be resolved within a few hours, it is immediately forwarded to the customer support desk or compliance department , instead of being "buried" within the company. Whatever happens - protect your investment! When in doubt - test on demo! Every broker offers demo accounts - beginner or not, test every new strategy from your arsenal there first. Not once, not 10 times, not a 100 times but until results are conclusive and you are confident in what you were testing. Then test on your live account in the smallest trades available volume wise. It's much easier to live with a small profit than a big loss. Side note: No use will come from demo trades unless demo funds are treated as if they are real. Practice makes it perfect! To become a professional trader you must keep trading on Forex, for beginners it is not an easy task. Starting a trading journal even prior to starting the actual trading is an absolute must. Write every day and write down everything: new information, points for further research, random thoughts, reasons to open a trade, reasons to close a trade, achievements and mistakes. Re-read your journal regularly! A novice Forex trader must develop a mindset of a business owner, because he is. Any business requires a business plan, constant monitoring and regular audit. Going bling is going down. Keeping a journal, a beginner trader makes sure nothing is in vain. Analysis of good trades will boost your trading confidence and motivate you to push harder and go further. On the other hand, analysis of bad trades will help extract value even from mistakes, which is the only way to improve. Generally speaking, the less you know - the more at risk you are and there is no limit to how much you can know. Or risk. Unimaginable amounts of information are available on the Internet absolutely gratis. Educational videos on Forex exchange trading for beginners, online Forex trading courses for beginners and professionals, tips and tricks, fresh trading opportunities, things to look out for on a weekly-, monthly- or yearly basis - all there, on the web. Information resources are numerous and only through personal research you will be able to identify the best Forex trading sites. Want to know how to learn Forex trading for beginners? Read everything! Not much of a reader? Become one! And always, always, always analyse what you read, as opposed to taking it on faith. This article included. As exciting as trading can be, it is, nonetheless, stressful work. How stressful? Very stressful! There will be a lot of setbacks on your way to the top. Emotions will skew the reality and force your hand to open a trade too early and/or close it too late. There are numerous books written about traders psychology alone, so it's a big thing, as you can imagine. The main cause of stress for beginners in trading is that some Forex trades will end up in a loss no matter what. The market is thus. What is important to remember here is that war consists of many battles and it is not a single victory or a single defeat that counts. Rather, it is the overall performance, which is another reason to keep a trading journal. If trading makes you nervous - do some yoga before making trading decisions. Once again, how to trade Forex when you are a beginner? Calmly. Only a particular kind of money is good for investing. The kind you are willing to risk and ready to loose without damaging your physical and/or mental well being. This means no mortgage payments, no pension savings, no tuition fees, no credit money and so on. Treat your trading balance with care but without hoping it will grow, because it might not, and, statistically speaking, it probably won't. Learn not to care about your trading funds as if they were monopoly bills - this, may not make you a profitable trader, but will at least keep you from being a miserable one. In a long-awaited conclusion to this article, there is a saying: Every profitable trader is profitable in his own way, while every loser loses exactly the same way. Because of this, there are many more tips on Forex trading for beginners out there, whether they prove helpful or not is up to the trader.